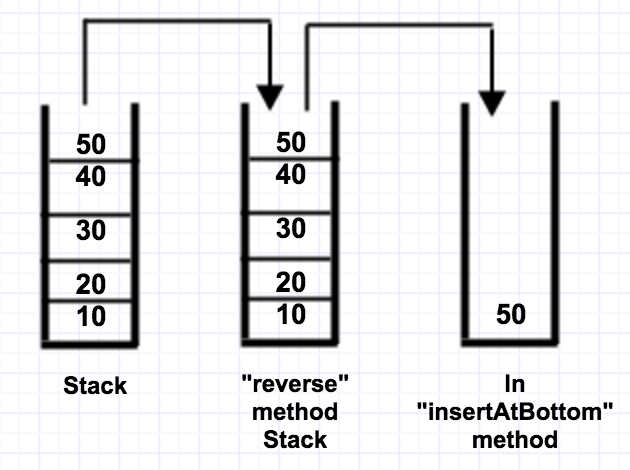 Given a stack how to reverse the contents of stacks using only stack operations (push and pop). First we remove all items from stack and put it method stack, and then for each item from method stack, we’ll push to stack bottom. This entry was posted in Data Structure and Algorithm, Recursion, Stack and tagged algorithm, data structure, java, recursion, stack on July 6, 2016 by Hrishikesh Mishra.